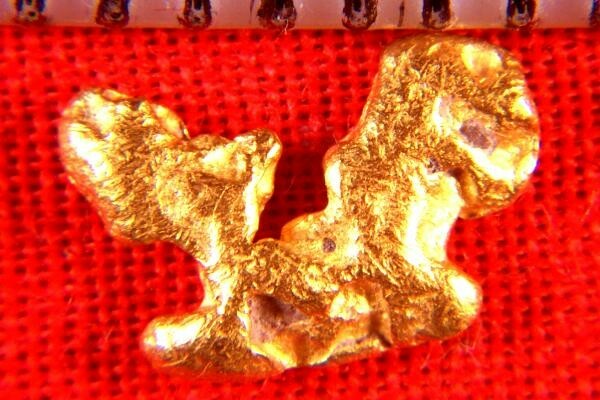 Very unique squirrel shaped gold nugget from Australia. How unique is this? You can see the squirrels head and bushy tail. Very interesting and unique. It is 3/8" (9 mm) long and weighs in at 9.6 Grains (0.62 Gram). 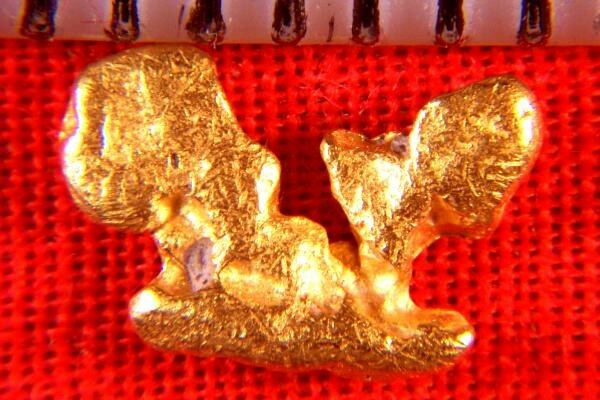 Australian gold nuggets are known for their high purity, They are some of the purest gold nuggets in the world at 92% to 98% pure (22 KT to 23 KT).